Soulja Boy is making it quite clear that he's getting ready to take over the rap game this year. Big Draco kicked things off with his infamous "Tyga?!" rant which turned into a full-blown press run. Soulja's been making it clear that he's the reason why some of your favorite artists have careers. A$AP Rocky, who's career blossomed on the Internet, believes that he wouldn't have a career if Soulja Boy didn't pave the way. Speaking with Big Boy, Rocky was asked about his feelings about Soulja Boy's come back. Although it's easy to dismiss Big Draco by laughing at his antics, Rocky admitted that Soulja did pave the way for artists to be self-sufficient by using the internet. "If it wasn't for Soulja Boy, man, A$AP Rocky probably wouldn't be around, man," he admitted. "It's not too far-fetched as me saying 'If it wasn't for Kanye and Pharrell I wouldn't be able to do what I do in fashion and navigate and learn from their mistakes' and what not." He added, "He kinda made a formula. He was the first to do it and it work for him and since then I think that kind of became a basis of a standard way to make it." 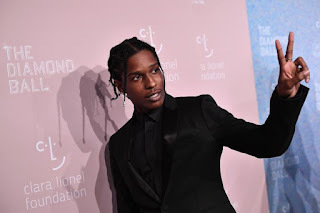 Unfortunately, Rocky hasn't had the chance to tell that to Soulja Boy personally, he did speak on having the viral sensation at 2019 Yams Day. "He showed up to Yams day and unfortunately, I was in the back cursin' out some sound people," he recalled. "By the time he got off stage -- you know, A$AP Ferg invited him. So shout outs to Soulja, I'm so thankful he came to show love."